A 10-day walking holiday that takes you through classic Wild West landscapes to see and hike America's best known canyons including the Grand Canyon, Bryce and Zion. Fly into Las Vegas and spend the night strolling the Strip or rolling some dice. Maybe you’ll win some extra holiday spending money on the slots! Drive to the Grand Canyon along a scenic section of Route 66 – the most iconic highway in the United States. 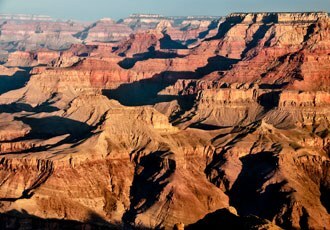 Take a late afternoon walk along the rim trail at the Grand Canyon and enjoy magnificent views as the sun sets. Walk the famed Bright Angel Trail at the Grand Canyon. Descend into the canyon and walk one of the most famous trails in the park to gain a different perspective on this natural wonder. Drive through vermilion, desert landscapes to reach Page – a small town overlooking the brilliant blue waters of Lake Powell. Take the short walk to the Horseshoe Bend overlook for one of the most spectacular views of the Colorado River. Drive from Page to the North Rim of the Grand Canyon (May to October) via the famous Navajo Bridge. The North Rim of the Grand Canyon sees considerably fewer visitors than the south side, and still offers incredible views. 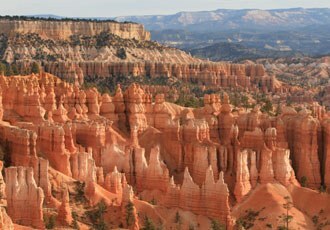 Visit the best viewpoints and take a short walk before returning to the road and driving to Bryce Canyon. 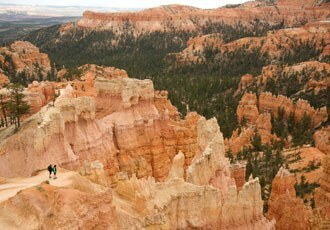 A full day to enjoy a walk amidst the multi-coloured rock hoodoos of Bryce Canyon. The Fairyland Loop Trail is one of the best walks in the park taking you to the floor of the canyon past several of the most famous rock formations. Return to Bryce in the evening for sunset views from the aptly name Sunset Point. A short drive today to Zion National Park before enjoying an afternoon walk to the aptly named Emerald Pools to give you a taste of the inspiring beauty of Zion. Spend the evening at nearby Springdale where there are many good restaurants, shops and bars to discover. 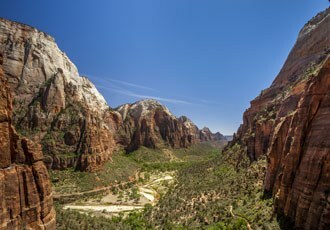 Hike to Angel’s Landing – Zion’s most celebrated trail and one that takes you up to the top of the canyon for stunning views of the entire park beneath you. After lunch, drive back to the bright lights of Vegas for a final night of fun. Fly home or onwards in the States to continue your great American adventure. A fantastic three-week tour of the highlights of the American West including coastal California, the native lands of Arizona and the breathtaking canyons of Utah. 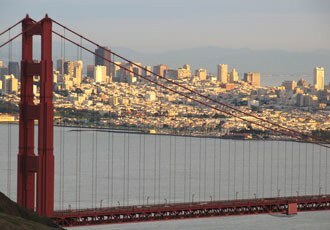 Fly to San Francisco and spend a full day exploring some of the sights of this delightful coastal city. Alcatraz, Pier 39, Lombard Street and Coit Tower are just a few of the main sights. And don’t forget to take a ride on a cable car. Cross the iconic Golden Gate bridge for a visit to John Muir Woods - home to giant redwood trees and gentle trails. After exploring the forest, drive to Point Reyes Lighthouse for tremendous views along the Pacific coastline. This is also a great spot for whale watching. Return to San Francisco. Drive north again to the celebrated vineyards of picturesque Sonoma Valley. Tour a winery and enjoy a taste of some of America’s best known wines then return to San Francisco for your final night in the 'city by the Bay'. Drive south from San Francisco to Monterey via the pretty town of Carmel – famed for its connections to Clint Eastwood. Take the scenic ‘17 mile drive’ around the Monterey peninsula and enjoy an evening sampling the delights of this laid-back coastal town with its excellent aquarium and marine life. Continue down the Pacific highway along Route 1 via the rugged coastal beauty of Big Sur. Stop at Santa Barbara and spend a day at leisure discovering the many delights of this cultured town known for its great wines, Mediterranean-style architecture and attractive waterfront. Drive east today to Joshua Tree National Park in the Mojave desert. Visit the key sights and viewpoints and stay in the desert town of Palm Springs. Continue on to Scottsdale, Phoenix for a further night sampling the western delights of this modern-day cowboy town! Drive from Phoenix to the south rim of the Grand Canyon, via Flagstaff, where you will have a day and a half to explore at your own pace. Take a walk along the Rim Trail, descend down into the Canyon or perhaps fly over it on an optional helicopter flight. Leaving the Grand Canyon behind you drive east to the Navajo lands of Monument Valley where you will take a driving tour around the red-rock pinnacles and mesas familiar from numerous westerns and TV shows. 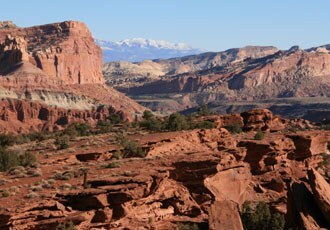 Drive north into Utah to the funky town of Moab – celebrated as the biking capital of the States. But don’t worry, there’s plenty to enjoy here even if you don’t want to take to the saddle. You'll enjoy two full days of breathtaking scenery when you visit Arches and Canyonlands National Parks. You'll take scenic drives and enjoy short walks to the most important sights and overviews before returning to Moab each evening where there are some great bars and restaurants to enjoy. Drive to Bryce along Scenic Byway 12 - one of the most stunningly beautiful routes in the west. Visit Bryce National Park and take a stroll between viewpoints overlooking the fabulous multi-hued, hoodoos, buttresses, pinnacles and columns of this incredible rock amphitheatre. Continue on to Springdale next to Zion National Park. Enjoy a riverside walk along the valley floor between the majestic ochre-red rock walls of Zion Canyon. It’s a fitting farewell to the awesome natural wonders of the American West. Drive to Vegas. Enjoy a final night where you could take in a show, enjoy a buffet feast, play the slots or simply stroll along the Strip. Anything's possible in Sin City! Fly home at the end of your incredible American adventure.